A barn fire broke out at the Canter Hill Farm in Chester County on Friday afternoon. It happened around 3 p.m. on the 2100 block of Vallery Hill Rd. in Malvern. Six separate fire companies responded to fight the blaze at the hay-filled barn. Canter Hill raises chicken, turkey, sheep and ostrich. 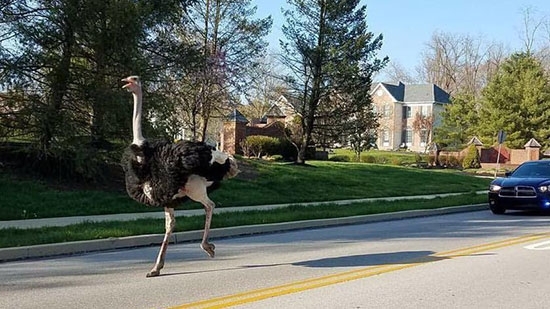 After the fire, one of the ostriches escaped and began to run around town. It was seen running down Swedesford Road in Exton. Eventually, it was corralled at Meadowbrook Manor Park near the Exton Mall inside a baseball field. No large animals were hurt in the fire, although some chickens are still missing. The Chester County fire marshal is investigating the cause. See video of the ostrich below. A Philadelphia drug dealer has been arrested and charged in the overdose death of a Montgomery County man. Montgomery County District Attorney Kevin Steele, Pennsylvania Attorney General Josh Shapiro, and the Upper Merion Police Department announced the arrest on Friday. 44-year-old Angel Leon is charged with Drug Delivery Resulting in Death. On February 23rd, 52-year-old Roger Korfmann was found by a maid in the Hyatt House Hotel in Upper Merion Township. He died from a combination of heroin and fentanyl. District Attorney Kevin Steele says the charge equates to 3rd Degree Murder. Last year, 249 people died from overdoses in Montgomery County alone. Both Steele and Shapiro say that dealers should beware. Authorities are investigating opioid overdoses as homicides and will hold sellers accountable. Abington Township Police are looking for a missing woman who has been working as an Uber driver. 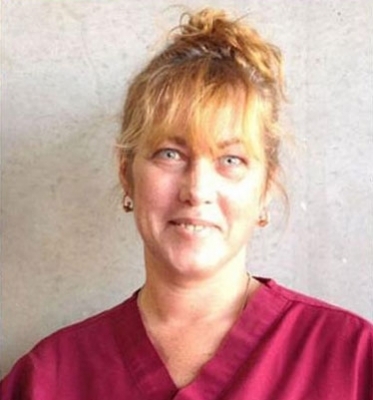 45-year-old Krysten Laib was last at 4:45 a.m. on Tuesday, April 11, in Philadelphia. She has not answered her cell phone or called her family. Laib is described as a white female, 5' 4”, 135 pounds, with blue eyes and blonde hair. She was driving a 2003 olive green Subaru Legacy with PA registration HJA 8582. Anyone with information on her whereabouts is asked to contact the Abington Township Police Department at 267-536-1100, and press option #3. See Krysten Laib's photo below.